Familiar time management gameplay with a fashion theme. 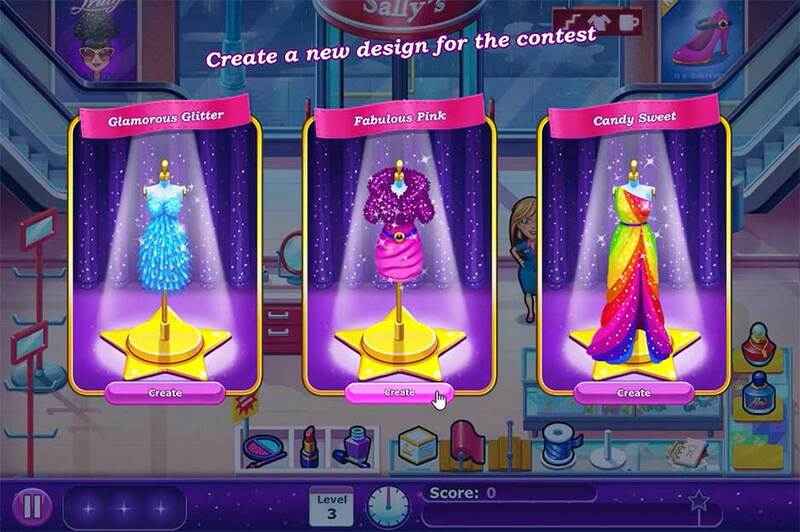 Choose your own dresses to create. Fulfill Angela's dream of becoming the world's next fashion star. Released in 2016 for iOS, Android and PC. The first game I shipped while working with GameHouse. I joined halfway through the project, so there was a lot of game already there! I had to learn a lot about time management games, how to design levels for them, and how GameHouse tells stories in their games. The Angela games are all about fashion, and this was the first "full" game, meaning a full set of 90 levels and a large story. Angela joins a reality TV show about fashion design. It was a lot of fun to help write these extravagant characters!